Want to save money on food and drink? I don’t know about you, but when I’ve got a day off work I just love getting outside and exploring Scotland, especially if it’s a sunny day and there’s a visitor attraction I’ve been itching to check out for a while. It doesn’t matter where it is, just as long as I get to go outside and actually do something, after all, who wants to be stuck indoors when the sun’s shining and there’s barely a cloud in the sky? But what really winds me up is getting to said attraction and finding out a family ticket is going to cost the best part of fifty quid, and that’s before you’ve added on transport costs and the obligatory food and drinks. I don’t know what it is about British tourist attractions but far too many of them seem to think it’s acceptable to charge an arm and a leg for what’s basically no more than a couple of hours of entertainment, and a lot of them aren’t even worth the money. You can call me tight if you like (which is fine – my other half does! ), but I’d much rather spend my time enjoying Scotland at an attraction that offers value for money and has an entrance fee that doesn’t make my wallet cry. But even better than cheap attractions are free ones, and what’s great about Scotland is there are loads of free attractions to be found throughout the country. In fact, I’d say the majority of the best Scottish attractions cost absolutely nothing to visit. Nada, zilch, zip, nowt – now those are the words I want to hear when I’m on a family day out. Take Edinburgh and Glasgow for example. These two cities have some of the best tourist attractions in the country and yet the majority of them don’t cost anything to enter. In Edinburgh you can hike up an extinct volcano in Holyrood Park (in how many other cities can you do that? ), wander around one of the oldest Botanic Gardens in Britain, see the best artworks in the National Gallery, marvel at the huge number of exhibits in the National Museum and be awe-struck by the architecture of St. Giles Cathedral, all for the price of, um, exactly nothing. Glasgow fares just as well on the free-attractions front (and some might say even better), with the beautiful Glasgow Cathedral, the fascinating Riverside Museum of Transport, the amazing Tall Ship on the River Clyde, the fantastic Kelvingrove Art Gallery and Museum, the wonderful Glasgow Gallery of Modern Art……and too many others to mention in this article. Suffice to say, if you visit either of these two cities it’s possible to have a really good time without spending a single penny. ‘But what about free attractions in the countryside?’ I hear you ask (…or is that just the voices in my head again? ), well fret not because there are just as many free things to do outside of Scotland’s cities than there are inside our urban areas. How about going up Ben Nevis – the highest mountain in the United Kingdom, or exploring Scotland’s most beautiful (in my humble opinion) landscape at Glen Coe? 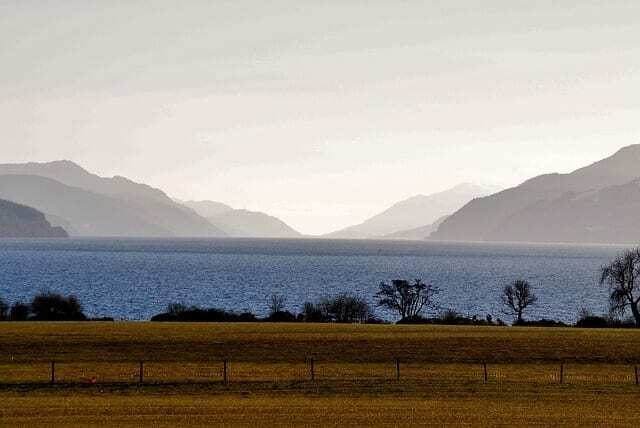 If you fancy getting amongst some of the country’s most picturesque loch and woodland areas you can head to Loch Lomond National Nature Reserve and Lochaber Geopark, or explore the gorgeous Loch Ness near Inverness (but don’t forget your camera for impromptu monster sightings). And I haven’t even started on all the walks you can do in Scotland that are guaranteed to bring a smile to your face, with routes like The Southern Upland Way, The West Highland Way, and The John Muir Way taking hikers across some of the best parts of the country with trails that really showcase our majestic landscapes (apologies for the number of superlatives but Scotland’s outdoor attractions kind of demand it). So with all these thoughts in mind I think it’s about time I show you my personal recommendations for the best free things to do in Scotland that are guaranteed to offer you a brilliant fun-filled experience. I’ve broken them down into the country’s main tourist areas so hopefully you’ll find something that’ll interest you no matter where you end up going. Now fill your flask with tea, pack your picnic bag, get your shoes on and enjoy these awesome Scottish tourist attractions that are totally, completely, and utterly free! Aberdeen is one of the largest cities in Northern Scotland and is the perfect hub for tours throughout the Highlands. Although the city is best known for its links to the oil and gas industry it also has a vibrant nightlife and extensive shopping areas, as well as some fascinating history in the old part of the town, like Aberdeen University which dates back to 1495. There’s also a host of beaches to enjoy, all of which offer panoramic views across the North Sea, while ferry travel to Orkney and the Shetlands is easy from the Aberdeen Ferry Terminal. 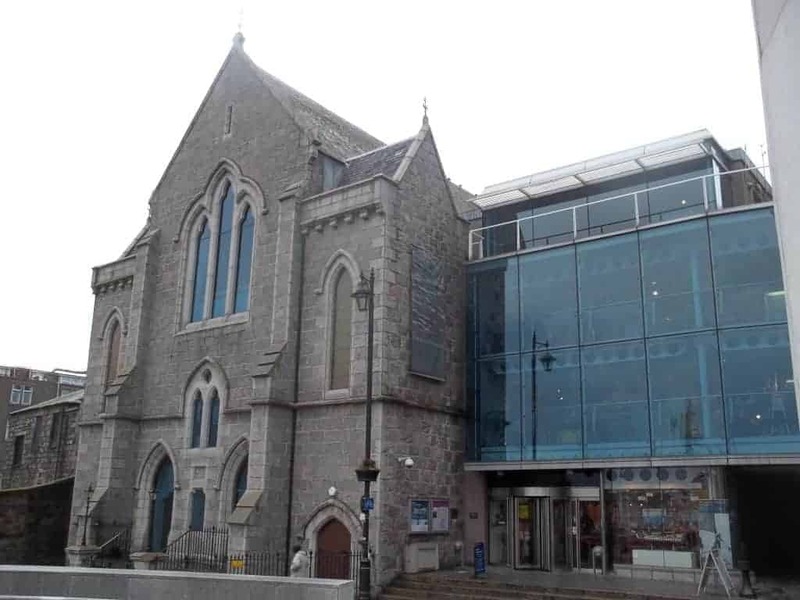 As the foremost oil and gas capital of Europe, Aberdeen has a long association both with the sea and with cutting-edge science and engineering, and this museum located in the historic Shiprow area of the city showcases the proud heritage of Aberdeen’s long sea-faring history. Part of the building that houses the museum was once used as Lord Provost John Ross’s house in the 18th-century, although the building itself actually dates back to the late 16th-century. Luckily the National Trust for Scotland took ownership after it fell into ruin in the 1950s and it’s now jointly managed by NTS and the city council who also manages the museum. There are actually two parts to this attraction – the old Lord Provost’s house which is built of traditional stone and a modern steel and glass building which links the provost’s house with the church next door, and I think it’s fitting that the old building contains all the traditional examples of shipbuilding, fishing, and harbour life while the new building contains all the ultra-modern offshore oil and gas exhibits. It’s a nice touch and one of the reasons the museum is rated a four-star visitor attraction by Visit Scotland (Scotland’s official tourist board). Inside the museum you’ll find a vast collection of exhibits that cover the entirety of Aberdeen’s sailing and shipbuilding past as well as the city’s current use as a fishing port and hub for oil exploration and extraction in the North Sea. They’ve done a great job in making the museum interesting to all ages and you’ll find an assortment of touch screen consoles alongside more traditional hands-on exhibits, and both kids and adults will have a great time exploring the story of how this former shipping port became one of Scotland’s major economic and industrial powerhouses. One thing that really impressed me about the Aberdeen Maritime Museum is that they’ve gone to great lengths to provide an educational element to the attraction, and they’ve done it in a way that’s both informative and fun at the same time. Something that’s not an easy task to pull off by any means. As with all attractions like this there’s a gift shop on-site that sells a wide range of gifts, crafts, and books, and there’s a really good cafe that’s a bit of a tourist attraction in its own right thanks to the views from the wall-to-ceiling windows. Overlooking the waterfront, the cafe serves first-class food and it’s a great place to take a break before heading into the nearby shopping area of the city with its surrounding trendy bars and restaurants. The University of Aberdeen is home to two attractions that are totally worth making the time to visit and yet they’re largely unknown about by most people who live outside the city. This is a real shame because not only are these attractions genuinely interesting but they’re also two of the best free things to do in Scotland, to my mind at least. The Zoology Museum is located in the university Zoology Building (where else would it be?) and contains a vast number of exhibits that cover the complete spectrum of worldwide animal research, from the smallest protozoa to the largest whales. There’s so much to see in the museum that you can easily lose yourself for a couple of hours while you examine each display and it’s a real voyage of discovery as you view specimens that have been collected from across the globe. During your time at the Aberdeen Zoology Museum you’ll see skeletons and models of a variety of animals, from whales to snakes and everything in-between, as well as a fascinating collection of animal skulls and fluid-preserved creatures. There are a few taxidermied animals included in the collection as well, so if you’ve got kids, taking them to this university museum is a good way to help them develop an interest in biology and the animal kingdom. The entire collection is the result of over 200 years of university research by staff and students and it’s obviously been a work of love putting it all together, and I personally think it’s fantastic that the university has made the collection available to the general public with no entrance cost, especially considering there are over 75,000 different exhibits to view. Even better, the displays frequently change so that new specimens are added to the permanent vertebrate and invertebrate collections so there’s a good chance there’ll be something new to see if you visit the museum another time. Offered in tandem to the museum is the Cruikshank Botanic Garden located on the Kings College campus (click here to see a downloadable campus map), and this is another hidden gem in the city that’s well worth a visit, especially in summer. Covering a surprisingly large 11 acres, the garden is full of species that have been collected from all over the world, and there are plenty of interesting plants to view in the meticulously well-maintained shrub borders, rose garden, water garden, and arboretum – which contains an incredible 2,500 labelled plants. The gardens are exceptionally peaceful and absolutely bloom with flowers in summer which makes it a great place to relax after visiting the busy city centre, and as it’s only 3 miles away you can easily get there by bus (see the First Bus Aberdeen route planner for details). When I first visited Aberdeen I was amazed by the number of beautiful sandy beaches that run along that part of the coastline – especially considering the city is best known for being the industrial heartland of the oil and gas industry. I was expecting to find vast stretches of dreary, polluted sea-front but what I actually found instead was mile-after-mile of pristine sand dunes and invitingly clear sea, and the best beach I’ve discovered so far has to be at Balmedie Country Park. 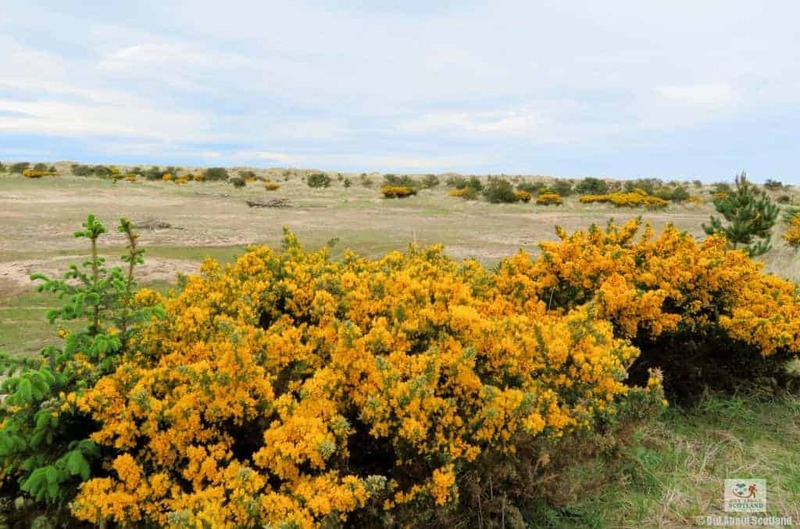 The park envelopes 14 miles of coastline from Aberdeen to just north of the mouth of the River Ythan at Newburgh and is home a diverse range of animal and plant species thanks to the vast stretches of sand dunes that border the golden beaches. There always seems to be something new to watch whenever I’ve visited Balmedie Country Park so if you’re a bird watcher I recommend you take your binoculars and camera with you. Oh, and don’t forget to look out towards the sea because there’s a good chance you’ll catch sight of the dolphins and seals that live around this part of the coastline, although there are a fair few wind turbines just off the coast that spoil the view a wee bit. The dunes, in particular, are a great place for kids to play games and they’ll love exploring some of the 30-foot monsters, while parents can relax on the soft sand with a picnic (although the dunes are a haven for rabbits so there’ll no doubt be quite a bit of rabbit poop to avoid). Here’s a top tip if you visit the park – bring a plastic sledge as the dunes are steep enough to make a great slide. Who needs to wait for a snowfall when you can go sledging at any time of the year on a beach?! Smaller children will have a great time at the playpark near the car park and if you’ve got a dog I can’t think of anywhere they’ll enjoy more than this stretch of coastline, but as there are often horse riders on the beach you might want to keep them on a lead. Aberdeen Council have done a great job of making the park accessible thanks to the 1.7 km of wooden boardwalks that have been installed through the dunes so even if you’ve got mobility issues you’ll be able to enjoy these beautiful surroundings, and the car park is a decent size so you shouldn’t have any problems finding a space to park (although access is for cars only so forget it if you’ve got a motor home). They’ve even installed picnic benches and barbecue fire stands so you can have a great family day out. Well done Aberdeen Council! Edinburgh is the compact and hilly capital city of Scotland that offers a wide and varied range of activities that the whole family can enjoy. As well as an expansive parkland formed from an extinct volcano the city boasts Scotland’s premier tourist attraction in the impressive Edinburgh Castle, and there are lots of museums and art galleries located across the city. Edinburgh also plays host to the world-famous annual multi-arts Fringe Festival and the Royal Military Tatoo which draws thousands of visitors each year. In addition, there are loads of fantastic pubs and restaurants, and the shopping experience is one of the best in Scotland. Everyone wants to save a few quid on family days out, especially when some of the major attractions will set you back over £50 in entrance costs for a family of four, and thankfully for cost-conscious tourists in Edinburgh there are several world-class attractions that are completely free to enter. One of my favourites – and one of Scotland’s most-visited museums – is the National Museum of Scotland on Chambers Street, just a few minutes walk from the city centre. This enormous museum easily rivals any other worldwide and not only can you get lost in the wonders of history in the ultra-modern new building but you can marvel at the fully-restored architecture of the Victorian Grand Gallery too. One of the things I love about the National Museum of Scotland is that it isn’t just a load of stuffy old information booths and boring skeletons like you might find in some other museums, but instead you’ll find a collection of really interesting exhibits that take you through the wonders of nature, art, design, fashion, and science and technology (to name just a few). There are galleries containing meteorites from the dawn of our planet, galleries depicting the somewhat later history of Scotland, galleries displaying incredibly lifelike animals from an extinct T-rex to an endangered Scottish wildcat, galleries focussed on world culture and galleries showing just about anything else you can possibly imagine. This attraction is big – really big – and there are enough activities and things to do that you can spend most of the day trying to see everything, but the great thing about the museum is that you’ll never get bored. They’ve done a wonderful job of presenting each area as a mixture of education and fun that’s accessible to all ages so you’ll likely find yourself getting as excited about the story of meteorites as your kids are. And that’s before you’ve got to the dinosaur galleries and the interactive science and technology galleries. The science and technology galleries, in particular, are brilliant and you can compete with each other in games like seeing how much energy you can burn in a giant hamster wheel, and trying to get the fastest lap in an F1 racing car simulator, or even trying to beat a cheetah in an animal cycle race. There are loads more activities like that dotted throughout the museum and I can say hand on heart they’re all great fun. If you have some extra time on your hands the museum frequently has premium exhibitions that showcase everything from the history of video games to the history of fashion, and while the tickets can be a bit pricey they’re free if you become a National Museums of Scotland member. There are also a couple of cafe’s on site if you feel the need to take a break, and the gift shop sells lots of quality gifts. I can totally see why the annual visitor numbers for this attraction are even higher than those for Edinburgh castle, so if you’re intent on visiting the nation’s capital you really should include the National Museum of Scotland in your itinerary. 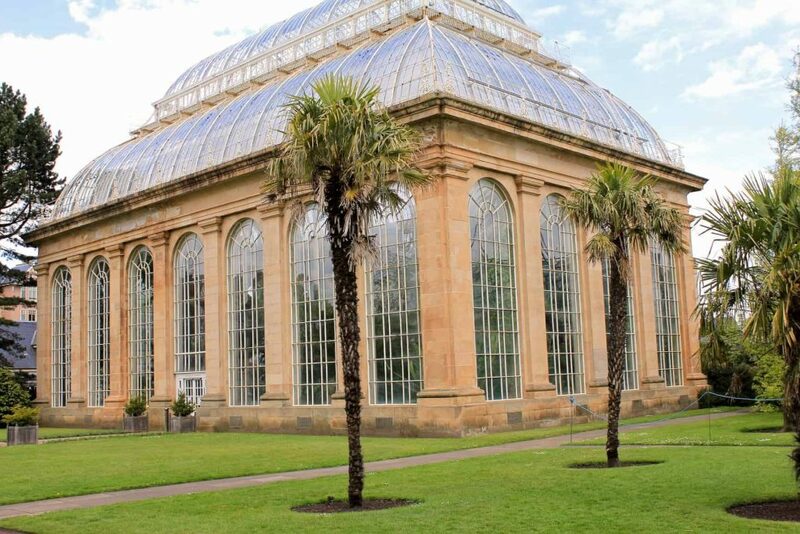 One of the best botanic gardens in the UK is located in Edinburgh, and a short bus ride from the city centre will allow you to explore over 13,000 different plant species in the most beautifully landscaped and manicured grounds you’re ever likely to see. Founded in 1670, the Royal Botanic Garden Edinburgh (RBGE) is the second oldest botanic garden in Britain, with only the Oxford Botanic Garden beating it for age. However, the garden in Edinburgh boasts the most diverse collections of plants of anywhere in the country, and across its 70 acres of land you’ll find yourself transported all over the world – from the low-lying mosses that live on Peruvian mountains to the dense green vegetation of the Brazilian jungles. 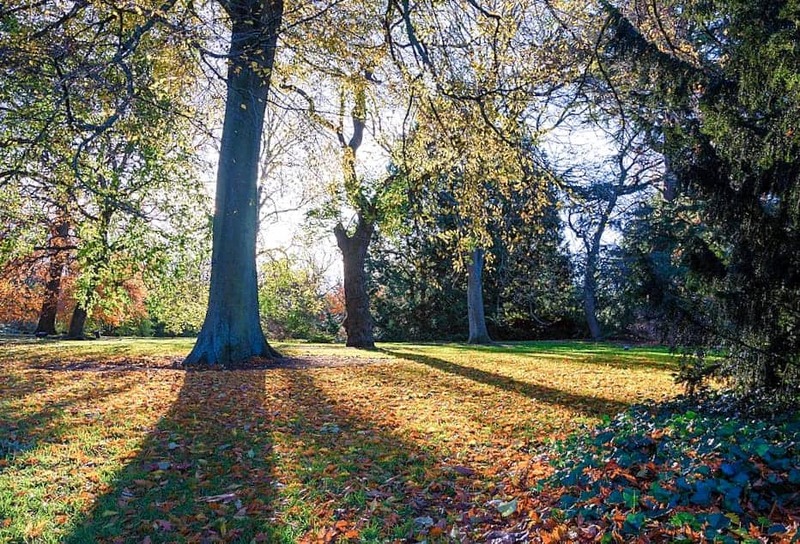 As a place to relax away from the busy city centre the gardens are only equalled by the Water of Leith for peace and quiet, and you’ll always find Edinburgh locals wandering through the grounds enjoying the serenity of the varied plant life. For tourists, the facilities available easily match those found at any other Edinburgh attraction, with cafe’s, a restaurant, snack stations, a gift shop, and an information centre catering to the needs of visitors of all ages. The gardens themselves are divided into regions of the world which all flow seamlessly into one another, so walking from alpine rockeries into a Chinese hillside garden seems completely natural. But if you want to explore the wilds of Scotland then a walk around the Scottish heather garden will transport you deep into the Highlands, and there’s even an old abandoned croft to explore to make the experience ultra-real. Although the gardens are free to enter it’s well worth paying the reasonable entrance fee to get into the premier attraction of the RBGE which is the incredible jungle that lives inside the enormous glasshouses. 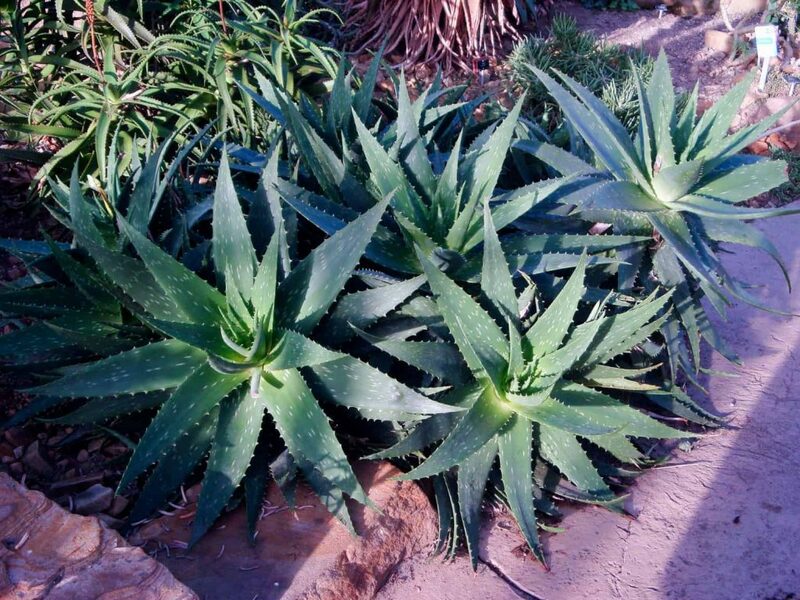 These glasshouses contain some of the oldest plants in the entire collection, as well as some of the largest, which makes for a fascinating walk as you appreciate the 3,000 exotic species that have been collected from all over the world. Other highlights include a woodland garden, a tree collection, a Rhododendron collection, alpine houses, and a botanic cottage (which is used for education and community sessions), while the visitor centre houses exhibitions that change on a regular basis. It’s difficult to rate Edinburgh’s Botanic Garden highly enough and in my opinion it easily sits near the top of this list of the best free things to do in Scotland. If you’ve ever looked through photos of Edinburgh on the internet there’s no doubt you’ll have seen Saint Giles Cathedral dominating the Royal Mile in the middle of the city’s Old Town. Its distinctive 15th-century crown steeple is one of the most-viewed features of any building in Edinburgh and it easily takes a place alongside Edinburgh Castle and Holyrood Palace as one of the most historically significant buildings in the city. The church has been a focal point for religious activity in Edinburgh for over 900 years, although the present structure that we see today can trace its roots back to the 14th-century. Due to its central location in the Royal Mile, St. Giles has become a popular tourist attraction and it’s an ideal stop-off point between excursions to the palace at the bottom and the castle at the top. One thing I should point out is that the church is still an active place of worship so entrance might not be possible during times of prayer, but mid-week tourists are free to enter and explore the inside of the cathedral as much as they like. There’s a lot of history in this tourist attraction and it’s unlikely you’ll learn too much about it during a short visit so I’d suggest buying one of the cathedral guidebooks in the shop before you begin your tour. How else will you know interesting things to look out for, like the four 12th-century central pillars that are believed to be the oldest parts of the cathedral after a fire gutted the majority of the original building in the 14th-century? There are a lot of little details like that in St. Giles and its history is well worth reading about. Another interesting fact is that although St. Giles Cathedral has been officially designated an A listed building and is of the greatest historical importance to Scotland, it’s not in the truest sense of the word an actual cathedral. As the Church of Scotland doesn’t officially have either bishops or cathedrals, St. Giles is often referred to in its much older title as the ‘High Kirk’, which means a place where a congregation of the Church of Scotland worships. There are five services held every Sunday and on average fourteen acts of worship take place each week, often with the St. Giles Cathedral Choir singing in full voice. The choir has become acclaimed throughout Europe and America and it’s certainly impressive to listen to them during the leading of the worship. They’ve even released a few albums which can be purchased from the gift shop alongside other souvenirs to remind you of your time in Edinburgh. And finally, the cathedral has an excellent café with first-class home cooking, cakes, and coffee, so you can relax in peace and quiet after a busy day of sightseeing in the city centre. Glasgow is Scotland’s largest city and is renowned for its culture, style and its huge variety of tourist attractions. The city provides one of the best shopping experiences in Scotland and is home to famous attractions like the SECC and Kelvingrove Art Gallery and Museum. Glasgow also offers a diverse range of internationally acclaimed museums, beautiful architecture, vibrant nightlife, and a wide selection of restaurants and bars. Situated in the centre of Glasgow, Kelvingrove Art Gallery and Museum is the focal point of the beautiful Kelvingrove Park, the 84-acre green area that was created in 1852 as a place of recreation for the city’s residents. The constantly changing exhibitions of the museum and art gallery are displayed across multiple different sections, and visitors can enjoy displays that cover themes from modern art, the animal kingdom, ancient Egypt, Scottish heritage, and lots, lots more. 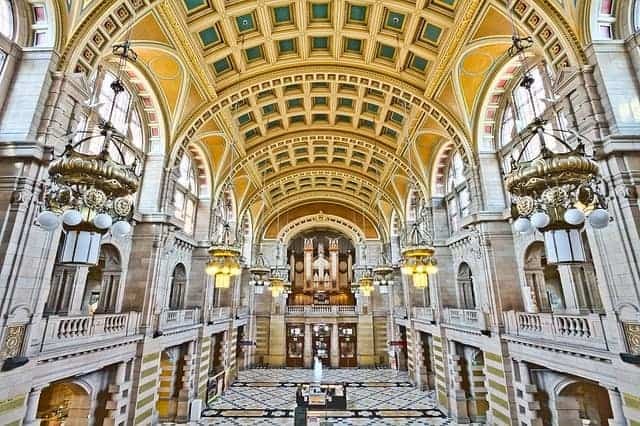 This stunning building has been entrancing Glasgow’s visitors for over 118 years and from the very first moment that people step onto the marble floor of the central hall they’re captivated by the diversity of the exhibits on display. In fact, I think most visitors to Glasgow would say a visit to Kelvingrove has to be one of – if not the – best free things to do in Scotland. Inside the museum there are over 9,000 artefacts and paintings which depict every aspect of human knowledge, from wildlife, art and literature, to Glasgow’s industrial past. Designed to be informative as well as entertaining, Kelvingrove has gained a reputation for being one of the top places in Glasgow for family days out, with the bonus being that like most museums in the city there’s absolutely no fee to get in. As part of a major restoration project the museum was extensively renovated over three years and was re-opened in 2006 with the exhibits organised into two halves; Life and Expression. The Life galleries represent natural history, human history, and prehistory, while the Expression galleries include the fine art collections. Both themes are staged across 22 state-of-the-art galleries which are large enough to easily take up most of your day. Kelvingrove Art Gallery and Museum is second only to the museums of London for the number of visitors it draws annually, with many coming to view its great art collection which is arguably one of the best in Europe. Here you’ll find masterpieces from Rembrandt, Renoir, Salvador Dali and others alongside antiquities from ancient Egypt and more modern works from the celebrated Glasgow designer Charles Rennie Mackintosh. But it’s not just collections of antiquities that draw thousands of visitors to this attraction because it’s also one of the foremost centres of education in the UK thanks to the frequent free talks that are held there by some of the UK’s leading experts in the fields of art and science. The talks and demonstrations that Kelvingrove host are excellent and are both fun and informative – something that’s not an easy mix to get right – but I guarantee you’ll have a great time if you attend any of them, especially if you take your kids to the ones that are aimed at children. The Glasgow Gallery of Modern Art (or the GoMA as it’s often called) is Scotland’s most-visited art gallery, beating the national galleries of Edinburgh for annual footfall numbers, and once you’ve stepped foot inside this lovely building you’ll soon see why it’s so popular. You’ll probably recognise the GoMA from the hundreds of photos on the internet where a Duke of Wellington statue stands proudly outside a very grand neoclassical building – with a traffic cone stuck on his head. The cone has embedded itself into Glasgow culture over the last thirty years since it was first placed there and the council seems to have given up trying to remove it, mainly because as soon as they do it’s put back by more late-night revellers. I personally think it’s a great addition to the statue and further proof of Glasgow’s acclaimed sense of humour. The museum is relatively new to the city (having opened as recently as 1996) but the building itself dates back to 1778 when it was built as a townhouse for a wealthy tobacco trader. Since then it’s been used as a bank and a library before being refurbished to house the city’s contemporary art collection, and today it’s one of the most popular visitor attractions in the city. There’s a lot to see in this gallery, and not only are there permanent displays from local and international artists but there’s an ever-changing collection of temporary exhibitions loaned from other Glasgow city collections. There’s even a display that goes into great depth about the history of the building – which is an interesting way to learn about this iconic piece of the city’s landscape – but if you really want to know more you can join one of the free guided building tours that run every Saturday and Sunday. The gallery has been set up to display the artworks in a way that’s as educational as it is enjoyable and there are lots of information boards installed throughout the site to let visitors know the story behind each artwork as well as the artist that created it, which is a great way to introduce youngsters to the world of art. Because the GoMA is so centrally located in the city centre it’s a good place to stop off at if you get fed up with shopping, and there are plenty of nearby bars and restaurants to hop into if you stay until last hours (particularly Thursday when it’s open till 8pm). And if you’re a weary parent that’s tired of excitable children racing around the gallery at a hundred miles an hour you’ll be pleased to know there’s also a top-notch cafe on site as well as a decent shop and a quiet library. I have to admit the Riverside Museum is probably my favourite free attraction in Glasgow, not just because I’m a bit of a transport geek but also because it’s a genuinely interesting place to visit. The museum is home to a huge collection of cars, motorbikes, trains, and boats, and there are so many travel-related objects on display that you can spend an entire afternoon inside and barely scratch the surface of the collection. I guess I’m not the only one who thinks this museum deserves a place in Scotland’s top ten best museums because it was given the European Museum of the Year award a few years ago and it regularly attracts over a million visitors annually, making it the fourth most popular attraction in Scotland. Riverside is quite a new museum so many of the interactive displays are quite high-tech – perfect if you’re a science-loving nerd like me who loves tinkering with stuff. Amazingly, the museum cost nearly £75 million to develop and since its opening day in June 2011 it’s amassed a slightly crazy 3,000 exhibits. I think it’s great that such a fun, educational, and interesting museum is completely and utterly free to enter, so well done to Glasgow City Council for making it all happen. The museum sits on the banks of the River Clyde which is quite apt as the river has been integral to the city’s shipbuilding heritage since the first ships were built there in the 15th century. Today, sadly, there’s not much that remains of the city’s industrial heyday of the 1900s, but the Riverside Museum of Transport goes a long way to keeping this important part of Scotland’s history alive. Inside you’ll find examples of every conceivable form of transport from skateboards to racing cars with examples dating from their earliest days all the way until modern times. There’s so much to explore at this museum that you’ll likely have to make a return visit just to see everything, with vintage motorbikes, old buses, even older trams, fire engines, steam trains, and interactive displays all telling the story of man’s fascination with getting from A to B. There are a couple of other highlights that might surprise you about the Riverside Museum of Transport. First is the recreation of one of Glasgow’s yesteryear streets, complete with cobbled paving stones and shops dating from 1895 to the 1980s. The street is a real blast from the past and parents are guaranteed to have fond memories of the products ‘for sale’ in the shop windows (you might have to explain what half the stuff is to your kids though). The second highlight of a visit is actually located outside the museum on the River Clyde, where the Tall Ship (a sailing ship called the Glenlee) is moored up alongside. The Glenlee first took to the water in 1896 and is one of only five ships built on the Clyde that’s still afloat today. She’s a fantastic old vessel and utterly fascinating, and visitors can pretty much explore every single nook and cranny from the gallery to the captains quarters. The volunteer crew host a variety of maritime-themed events throughout the year and their enthusiasm for this old lady of the seas is immediately obvious as soon as you step onboard, which makes a visit to the Glenlee an absolute must if you’re visiting the Riverside Museum. The Scottish Highlands is the largest area of Scotland and encompasses an area of more than 30,000 square kilometres – yet has a population of fewer than 250,000 people. Primarily mountainous, visiting the Highlands offers a unique experience that’s unmatched anywhere else in Europe. The remote wilderness of some of the UK’s most beautiful national parks makes this region of Scotland the perfect place to get outside and enjoy the fresh air, whether it’s going for a walk through the stunning landscapes or climbing one of Britain’s tallest mountains. The Inverness Botanic Gardens are a lovely wee hidden gem that offer an oasis of calm within a short walking distance of the city centre, and they absolutely deserve a place in this list of the best free things to do in Scotland. There’s a lot of variety to enjoy at the gardens and visitors can explore a mixture of formal gardens, wildflower meadows, cactus houses, ponds, and a tropical house in this volunteer-run charity attraction that’s become ever-more popular in Inverness since opening in 1993. For a small city, Inverness has got a surprising amount of things to do, but I personally think the Botanic Gardens are the icing on the cake. It’s just so peaceful and the gardens are absolutely awash with colour thanks to plants that have been sourced from all corners of the globe (yes I know globes don’t have corners, but you get my point…). The glasshouses are worth visiting in their own right as they feature loads of tropical plants that would otherwise never survive without the hot and humid conditions that these mini-ecosystems provide, and it’s quite an experience to walk out of the cold Scottish air and into the balmy heat of a rainforest. Once you step inside you’ll find a cascading waterfall in the glasshouse with a pool full of beautiful (and inquisitive) Koi Carp, which makes the whole experience very relaxing, if slightly surreal. Some of the plants in the rainforest will be immediately recognisable to anyone with an interest in flora and fauna but there are many more that you probably haven’t seen before, like the exotic orchids that appear to thrive in the glasshouses and the beautiful bird of paradise plants with their impossibly pretty yellow and orange flowers. It really puts my meagre collection of daffodils to shame. Next door to the rainforest is a cactus house which showcases some of the hundreds of different species of cacti that can survive in extremes of temperature, and they’ve been planted in a landscape composed of an impressive 75 tonnes of rock. It’s quite a bit cooler in there than the rainforest so you’ll be able to acclimatize before heading outside to the outdoor gardens. The lawns, trees, shrubs, and borders of this part of the Botanics are linked by meandering pathways that take you past rockeries, wooden carvings and cottage gardens while a ramshackle gate at the back of the formal gardens leads you into a ‘secret garden’ which is managed by a group of adults with special needs. This was my favourite place in the entire site and the guys working there have done a fantastic job of converting what was once a run-down piece of wasteland into a little urban paradise, and even better, many of the plants are available to buy in the sales area with the proceeds going back into keeping Inverness Botanic Gardens free for public entry. The little village of Glenfinnan in the Lochaber area of the Highlands is famous for having three major tourist attractions on its doorstep, with the first being the Glenfinnan viaduct which offers one of the most spectacular photo opportunities in Scotland. The viaduct has been well-known as a tourist atttraction for many years as it offers jaw-dropping views of The Jacobite steam train which transports tourists from Fort William to Mallaig. The sight of this vintage train puffing its way across the viaduct draws in thousands of visitors each year and their numbers have exploded since it was featured in the Harry Potter movies as the Hogwarts Express. The second attraction is the view at the foot of Loch Shiel with the Sgurr Ghiubhsachain mountain rising on one side and Rois-Bheinn rising on the other. To my mind, this is the nicest viewpoint in the whole of Scotland and I can’t recommend a visit highly enough, especially if you manage to get there early when the crowds of tourists haven’t yet arrived and there’s an ethereal mist rolling down from the mountain-side. It’s spine-tingly stuff. 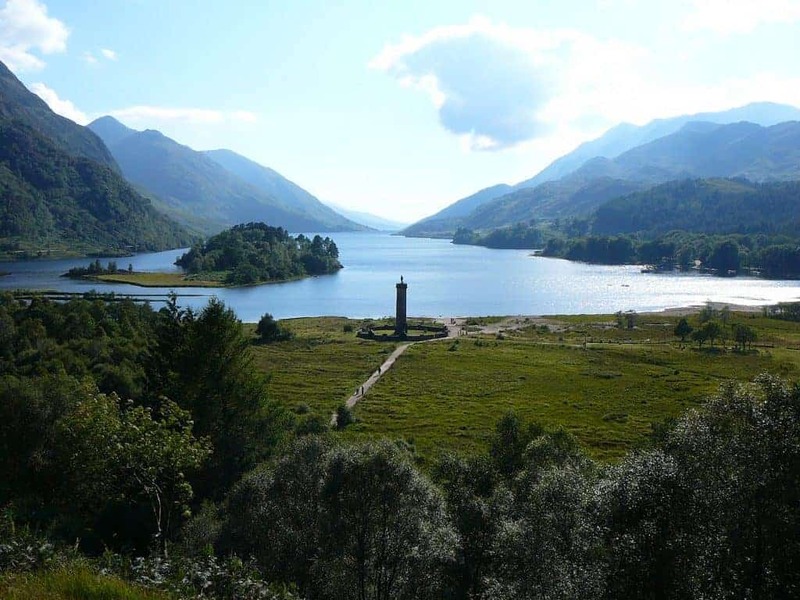 The third attraction is the Glenfinnan Monument which sits at the north-east head of Loch Shiel where it has commanded spectacular views of the Highland landscape since its construction in 1815. This 18-metre high structure was built to commemorate one of the defining moments of the Jacobite uprising of 1745 when Prince Charles Edward Stuart raised his standard in front of the massed ranks of 1,500 supporting clansmen and declared his intent to take the thrones of England and Scotland in the name of his father, James Stuart. This marked the start of the Jacobite uprising that would ultimately end at the ill-fated Battle of Culloden less than a year later. The monument was commissioned by a member of Clan Macdonald of Glenaladale to commemorate the raising of the standard by the ‘young pretender‘ prince, and in 1835 the statue of the anonymous Highlander was placed at the top of the tower. The tower has been a respected Highland landmark ever since which is why today the monument is in the care of The National Trust for Scotland who has maintained it since 1938. The Trust has since built a car park and pathway to the monument so that access can be easily made by people of all abilities, while a popular visitor centre has been constructed to educate tourists about the ill-fated uprising and the history that led up to this important moment in Scotland’s history. The centre also includes educational exhibitions and displays about the area as well as a cafe and gift shop. Although there’s a fee to get into the visitor centre it’s very reasonable (£9 for a family as of 2019) and you can take a guided tour to the top of the monument, but if you just want to look at the landscape you can explore the scenery along the lochside from several vantage points. It’s an iconic site and one that has to be visited if you’re in this part of the Highlands. Located deep in the heart of Scotland’s beautiful Strathspey area is Loch Morlich, a natural freshwater loch that’s considered to be one of the finest in the Highlands. It’s not difficult to understand why this particular loch is so highly regarded either. There’s so much do here that I can safely say it’s impossible not to have a great time, and yet Loch Morlich is almost criminally unknown about by many of Scotland’s visitors. First off there’s the location of the loch which lies at the bottom of the Cairngorm mountain range just a few miles from Aviemore, and secondly there’s the lovely Glenmore Forest which surrounds it on all sides. So not only have you got mountain sports and hill walking trails within easy reach but you’ve also got excellent walking and cycling trails running through the nearby forest. It’s the view that first hits you though, and you’ll probably have trouble taking it all in as you walk out of the adjoining car park and set foot onto a glorious expanse of a natural sandy beach with the waves of the crystal clear loch gently lapping at the shoreline. If you close your eyes you could momentarily be forgiven for thinking that you’re on some remote exotic beach in another country, but opening your eyes again only confirms that you’re still in Scotland, with the immense snow-capped peaks of the Cairngorms rising high into the clouds on one side and the deep-green Scottish pines of Glenmore Forest sweeping away into the distance in every other direction. 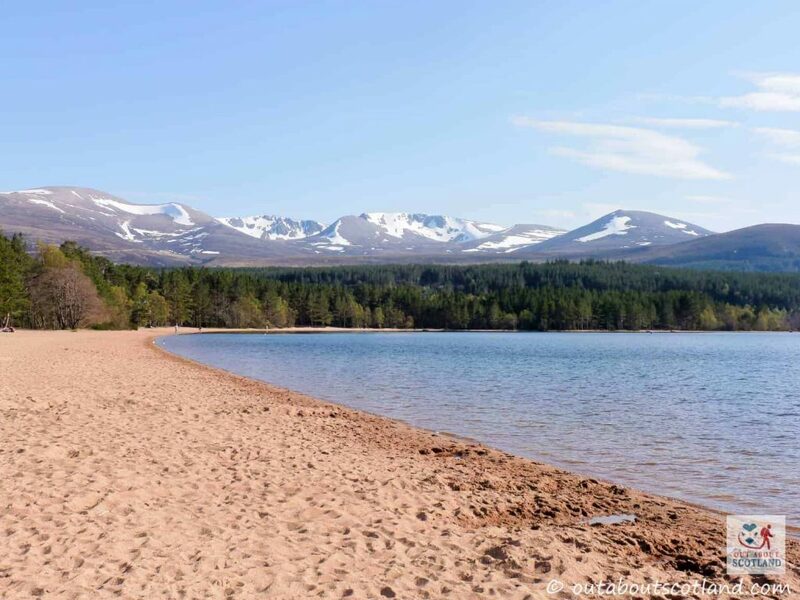 If you’re a tourist in search of the best outdoor experiences that Scotland has to offer you could do a lot worse than take a trip to Loch Morlich. Glenmore Forest Park is an ancient fir and pine forest that covers the landscape almost to the horizon in every direction. This forest has been designated as a National Nature Reserve and there’s a vast number of wildflowers and birds to see as you make your way through it on one of the many paths that have been laid throughout the area. 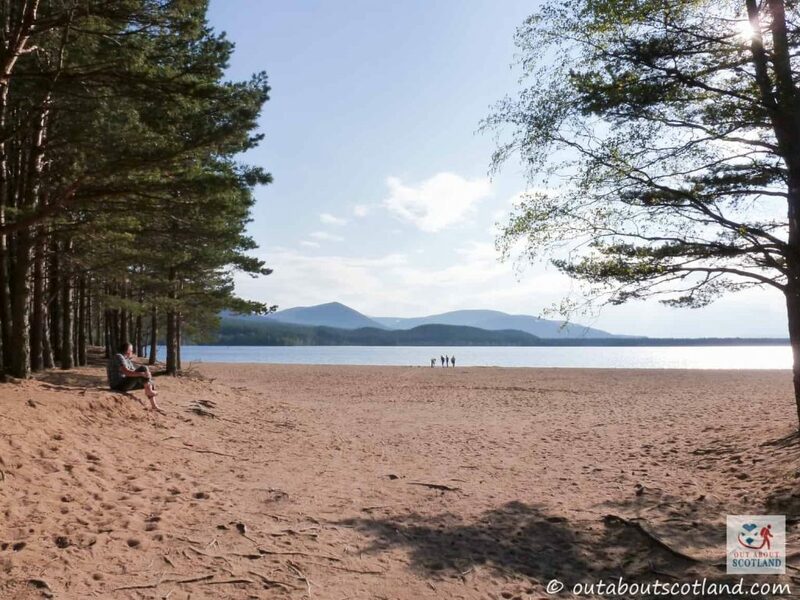 For me, this area offers some of the best walks in Scotland, but if you’re not feeling quite so energetic you can simply sit on the sand and soak up the suns rays (in summer at least), or paddle out into the loch for a bit of seaside fun (interesting fact – Loch Morlich is officially the UK’s highest beach). The visitor centre across the road has plenty of snacks and ice creams but there’s also a picnic area on the site if you want to bring your own packed lunch. The only thing you’re not allowed to do is camp in the recreational areas, which is fair enough I think. All-in-all you really owe it to yourself to visit this amazing beach resort which has to be one of the very best free things to do in Scotland. We all need a little extra help when it comes to saving money when visiting Scotland’s free tourist attractions so I’ve included a few useful tips that will hopefully keep a few of your hard-earned pennies in your pocket. If you have any other suggestions you’d like to see included please leave me a comment in the comments box below. If you’re travelling to an attraction by car you can always save a few quid by searching online for the cheapest local petrol stations. Check out PetrolPrices.com for a regularly updated list of garage and supermarket fuel prices. Have you considered carpooling instead of taking your own car? Carpooling is a great way to make shared use of car journeys and it’s easier on the environment too. Win-win! The BlaBlaCar website is one of the best and will tell you all you need to know about the scheme. The Spirit of Scotland travel pass offers unlimited rail travel throughout Scotland for either four or eight days. As of January 2019, four days unlimited travel over eight consecutive days costs £111, while eight days unlimited travel over fifteen consecutive days costs £143. Note that these prices can vary depending on available special offers so check the website in advance before you buy the pass. The Highland Rover travel pass gives you four days unlimited travel over eight consecutive days across the Highlands for £89 (as of Jan 2019). Although it’s only valid for standard class you can travel at any time and you’ll get 20% off Northlink ferry services to Orkney and Shetland. The Central Scotland Rover travel pass lets you take unlimited journeys between Glasgow, Edinburgh, and the surrounding area for just £49 (as of Jan 2019). The pass lasts for three days and is valid for standard class journeys on ScotRail trains, but unfortunately you can’t use it on the new Borders railway line. Travel during off-peak instead of the much more expensive peak times. Peak times with most rail operators are; 6am to 10am, and 4pm to 8pm Monday to Friday. If you’re visiting Glasgow use the subway system which is both efficient and reasonably priced. The SPT Roundabout ticket gives one-day unlimited travel by rail and subway to over 110 stations in the Greater Glasgow area. You can purchase these tickets through ScotRail or SPT Travel Centres. Hostels are by far the cheapest option for cheap accommodation in the UK and the days of sticky carpets and cold, dingy rooms are long gone. Most even offer single rooms with an en-suite bathroom these days. In Edinburgh take a look at the Edinburgh Backpackers Hostel, and in Glasgow I recommend the Glasgow Youth Hostel. Airbnb is a fantastic option for the budget-conscious traveller and there are some real bargains to be had. Consider using the service in preference to an over-priced hotel. Another alternative for cheap overnight accommodation is to find a Groupon deal. The only thing to bear in mind though is you’ll likely have to book well in advance so it’s not ideal for an impromptu overnight stay. Even cheaper than hostels and Airbnb is pitching a tent in Scotland’s beautiful countryside. It’s legal to pitch your tent wherever you like in Scotland but make sure you abide by the Scottish Outdoor Access Code (but please don’t forget to take all your litter home with you). We’ve got bothies – so use them! A bothy is a little dwelling seemingly abandoned in the middle of nowhere for no apparent reason which has been erected for anyone to take refuge in. Although they’re not exactly up to hotel standards they’re completely free to use so check out The Mountain Bothies Association for more information. If you’re anywhere near a town or city you can often find great deals on eating out on the itison website. Just remember that you’ll have to book in advance but if you’re planning a trip out it’s a great way to have a slap-up meal for much less than the normal price. If you’re intending to stay overnight near an attraction then try to book self-catering accommodation and cook your own food. It’s a much cheaper option than extortionate hotel restaurants. If you’re anything like me you can’t go more than five minutes without a caffeine fix, so do your wallet and the environment a favour by using your own re-useable coffee cup. Most coffee shops offer a discount for using them these days. Similar to the tip above, take your own water bottle and fill up with tap water. Scotland’s tap water is very high quality and is much cheaper than buying a bottle of Evian. Fancy a wee dram? Most pubs and restaurants have a malt of the month that’s got a nice discount compared to the other whiskies on sale. Well, that wraps it up for this article and I sincerely hope it’s given you a few useful tips to help you shave a few pounds off your normal tourist attraction spend. It’s always nice to save a little extra cash here and there so if you think this article is useful please share it on your social media network so that others might benefit from it as well. Good luck travelling across Scotland and have a great time, wherever you decide to go.